Recently, Boston-based Clear Ballot and Birmingham-based ibml announced a partnership to integrate two ultra high-performance scanner models with Clear Ballot’s ClearVote™ voting system. Clear Ballot and ibml have partnered to respond to the election industry’s growing need for general purpose, reliable, high-performance scanning solutions that can process both full-face vote-by-mail ballots, voter registration cards and the myriad of other paper documents that Clerks and county officials across the country need to digitize. Clear Ballot becomes the first firm in the industry to offer ballot scanning solutions that meet the budgetary needs of the smallest jurisdictions as well as the performance requirements of the country’s largest election jurisdictions. Both scanner models will be integrated into Clear Ballot’s ClearVote voting system and will be submitted as an amendment to Clear Ballot’s current application for certification with the Election Assistance Commission. 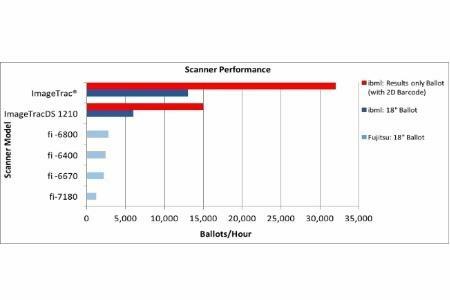 Clear Ballot’s software allows scanners from different manufacturers to network together providing the performance and redundancy required by the mission-critical nature of election administration. 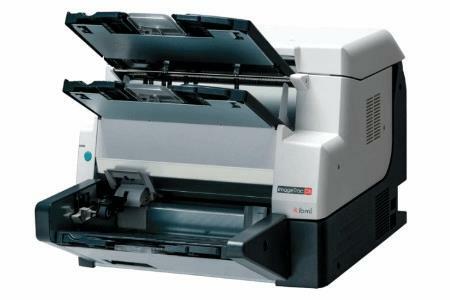 The ImageTracDS 1210 is a desktop scanner capable of sustained processing of 18” ballots at 6,000 ballots per hour and small-format 2D barcoded ballots at speeds over 15,000 ballots per hour. The ImageTrac® is capable of sustained processing of 18” ballots at speeds over 13,000 ballots per hour and small-format 2D barcoded ballots at speeds over 32,000 ballots per hour. In addition, this partnership brings new leadership to the industry by anticipating the performance, accuracy and transparency requirements needed to efficiently process the new 2D barcoded ballot designs produced by the next generation of accessible ballot marking devices. Devices like the one pioneered by the L.A. County’s Voting Systems Assessment Project will, in the near future, play an important role in meeting the increasingly stringent requirements for accessible voting as well as improving the in-person voting experience of every voter. "ibml's relationship with Clear Ballot underscores the priority that ibml places on tight integration with missioncritical applications where the imaging process is paramount to the success of the solution," said Derrick Murphy, President and CEO of ibml. "ibml sees a positive opportunity to align with Clear Ballot; a partner who strives to bring unique solutions to the elections industry." For small and medium-size jurisdictions, Fujitsu scanners already offer the best combination of performance, price, reliability and nationwide support. Boston-based Clear Ballot was founded in 2009 and is an emerging leader in election technology innovation. ClearVote, Clear Ballot’s modular voting system, harnesses modern software tools and advanced hardware to create a comprehensive voting system designed to bring greater speed, accuracy, and transparency to elections. ClearVote is easy to use and cost-effective, responding directly to the budgetary realities of America’s counties and municipalities. For more information, visit www.clearballot.com. ibml provides intelligent information capture solutions that drive business process improvements. Combining intelligent scanners, software and services, ibml’s comprehensive solutions automate the most demanding document applications in banking, financial services, government, outsourcing and more. Every day, ibml customers in 48 countries rely on our technology to automate the capture and processing of millions of documents. For more information, visit www.ibml.com.